Way back in the early nineties, when radon gas was beginning to enter the public awareness, I went to Ohio and took a course on radon gas measurement and mitigation. Because radon comes from soil underneath the basement floor, I thought it would be a good idea to educate myself, since I am constantly exposed to this as I break out basement floors. 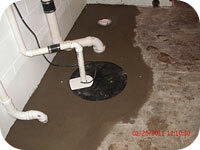 What I learned was that the continuous loop drain tile system that I install is the best radon mitigation system there is. 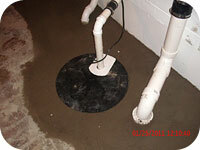 I can install a tee somewhere in the drain tile system for attaching a radon mitigation fan. 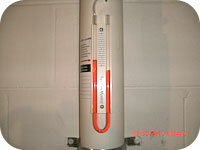 This makes radon mitigation very easy if needed. Copyright © 1994-2019 Fulscher's Basement Waterproofing. All Rights Reserved.